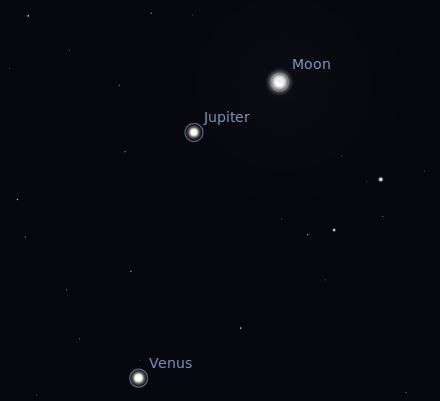 Today 26 February the Jupiter and Venus are near the moon. 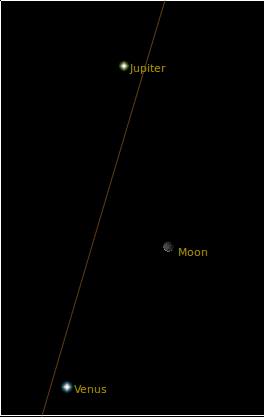 you can see the two planets near the moon. See the sky and find the moon. You can see two bright stars. One is Jupiter and other one is Venus.